Teamwork, talent and exemplary preparation all played their part in the success of QE’s eight-strong team in the South East Regional Session of the European Youth Parliament. The Year 12 boys now progress to this summer’s national round of the debating competition for the third consecutive year. Guiding them to their success at the regional forum hosted by Haberdashers’ Aske’s School for Girls was Academic Enrichment Tutor Helen Davies. “The team put in a fantastic performance head-and-shoulders above their rivals, being described as ‘too keen and too good’ by the chair of the session!” she said. In his opening defence speech, Saifullah Shah said: “Russia is seeking to undermine the very fabric of our society by spreading disinformation.” And in his closing defence speech, Chris Hall stated that the ability of disabled and otherwise immobilised people to vote would be greatly enhanced by online voting. The day ended with a highly entertaining ‘French debate’ in which students debated a final motion in a language of their choice, said Miss Davies: Alex Beard contributed in both French and German. “The boys displayed good teamwork and in-depth knowledge on each of the resolutions debated during the day – the product of their general excellent political knowledge and their prior research,” she said. “The event displayed well the excellent tradition of public speaking and debating which is upheld at QE, as all eight boys spoke extremely well, which set us apart from the other schools. 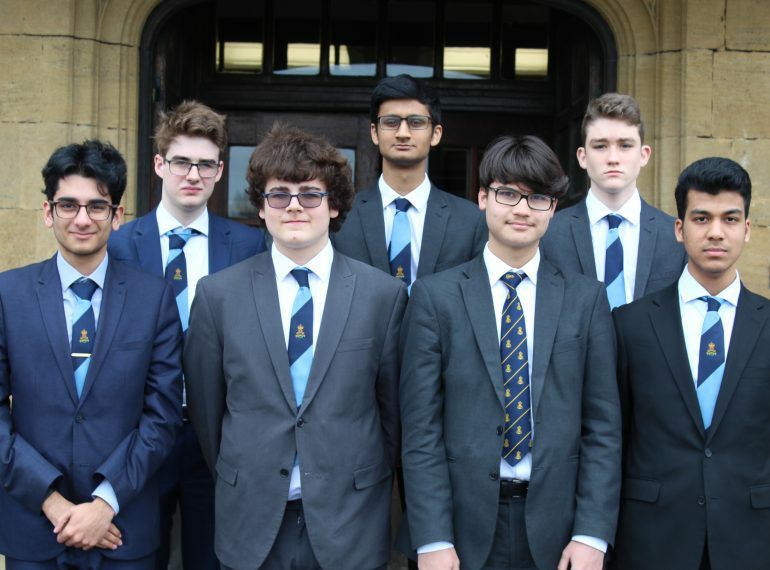 The 2019 QE team comprises: Alex Beard; Kieran Dhrona; Deeps Gandhi; Hanif Gofur; Chris Hall; Denis O’Sullivan; Ryan Ratnam and Saifullah Shah. Also going through to the nationals are the City of London School for Girls.